Hi all! We just wanted to let you know that our flavour of the week is kiwi! DID YOU KNOW that kiwis are actually berries?? Because we sure didn’t until we checked the all-knowing Wikipedia, which is where we found this gorgeous image of kiwi varietals. It would make such a nice print… or pair of prints… Apparently there are over 60 different kinds of kiwis! We’re using “A. deliciosa”. The 'delicious' one. Of course. 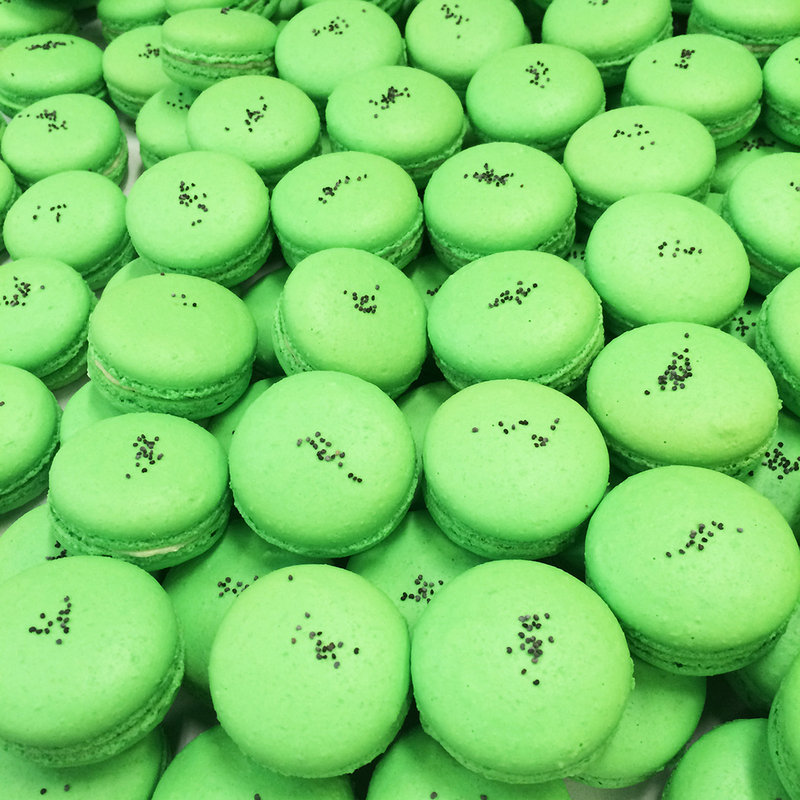 And we’ll be sure to add some to the boxes of 12 macarons we’ll be giving away this Sunday, in our Macaron Club Contest : ) Happy Friday—have a fantastic weekend.